ISLAMABAD: The Supreme Court on Monday rejected a request of the defence counsel in the contempt of court case against Privatisation Minister Daniyal Aziz to summon Director General (Monitoring) Pakistan Electronic Media Regularity Authority (Pemra) Haji Adam and produce a video clip of veteran politician Javed Hashmi. “The request is totally unnecessary and uncalled for,” Justice Sheikh Azmat Saeed observed adding the court was unable to see how it was related to the issue at hand. In his video clip on Jan 1, 2017, Mr Hashmi while talking to media had alleged that some disgruntled elements in the armed forces wanted to make former army chief Raheel Sharif unsuccessful and through Imran Khan, they wanted to destroy the parliament. The politician had also accused the PTI chief of conspiring against the government during the 2014 sit-in. 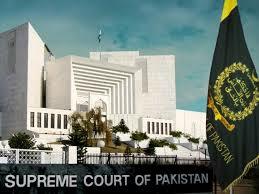 Justice Saeed was heading a three-judge Supreme Court bench, which had on a suo motu taken up a contempt of court proceedings against the privatization minister for making alleged derogatory and contemptuous speeches and statements against the apex court which were also telecast by different television channels. “Now I am being embarrassed,” Justice Saeed observed though the court also admitted that the copy of the video recording of Javed Hashmi had also been attached by senior counsel Ali Raza in his application. The applicant had argued that the clip shown by DawnNews was necessary to be used as defence in the interest of justice. Additional Attorney General Muhammad Waqar Rana, who is conducting the contempt of court proceedings as the prosecutor, however, opposed the request on the ground that whatever the defence wanted to produce was not related to fact, whereas in such cases the evidence should related to facts. “This witness is irrelevant,” AAG argued but the defence counsel stated that the law allows him to question any witness to ascertain whether the material being produced was evidence or not. The court, however, accepted second request of the defence counsel to summon Executive Producer Kashif Jabbar of DawnNews as a witness being the producer of the news programme of which the video clip aired on Dec 19, 2017 had already been exhibited as evidence. The video clip had showed a mobile grab of the press conference of Daniyal Aziz and was not original recording of the news conference. Ali Raza argued before the court that the video produced as evidence did not match with the transcript provided. Therefore, he wanted to know from where the same was procured adding he had the right to question whether the evidence under which he had been charged of committing contempt of the court was evidence in original form or not. Justice Saeed also cautioned the counsel not to beat about the bush during the proceedings otherwise he would dilute his case. On March 13, the minister was indicted for committing contempt of the case for addressing a press conference on Sept 8, 2017, in which the minister accused that Justice Ijaz-ul-Ahsan summoned NAB authorities in Lahore for preparing corruption references against deposed prime minister Nawaz Sharif, his family members and former finance minister Ishaq Dar. The court postponed further proceedings for April 24.